This piece is as propagandistic as the PR campaigns it mentions. It explains nothing about the perceived situation in Syria nor gives any substance to the claims made about the “regime” there. Not a very useful piece, though clearly the writer is passionately revolted by the Syrian regime and is willing to grasp at any connection that might equate Syria with the absurdities and brutalities of Gaddafi. There does seem to be a struggle going on within Syria to modernise its economy, but unfortunately this has meant that a neo-liberal model has been pushed through (similar to Russia’s mafia capitalism). The existing elites tend to corner the majority of new opportunities – but this is VERY different from Libya where the people have been left destitute. There has been real and sustained growth in Syria for most of the last half decade and it has affected normal people positively, even if not enough… hence the relative clam in Syria compared to the popular explosions of revulsion against the American-backed regimes and the Western supported dictatorships. 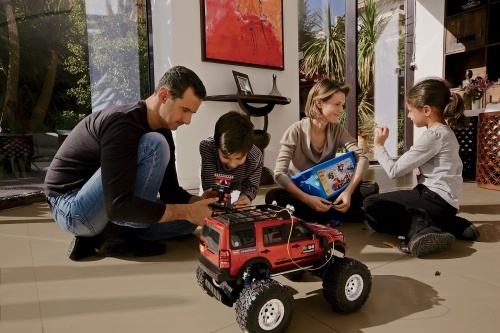 Culturally and in terms of liberties, the ‘new’ politics of Bashar al Assad and Asma al Assad are clearly also at loggerheads with the entrenched old guard and the sense of discord and in-fighting amongst the elite is palpable. If Bashar al Assad wants Syria to become more like Turkey, its undeniable that he is the figurehead of an oligarchy that wants to remain stuck in the grim 20th century. The “Turkish” model is in fact a very interesting one now for the regimes of the Middle East – it seems that allwoing the destitution of their peoples will now no longer be so possible for the different Western-supported governments of the area. The alternative that many Western consultants are now investigating on behalf of the oil companies and different American and European governemnts, seems now to be to cajole and help their allies to enforce laws and limit corruption and so to allow real economic life, while at the same time having draconian control over the army and security apparatus to preserve ‘stability’ for Western interests (especially in managing oil production and strategic elements of foreign policy vis a vis Israel and the Palestinians for example). It will be interesting to see how far this can be pushed; for example, the humanitarian disaster caused by the ongoing Egyptian embargo against Gaza, of dubious international legality, nonetheless shows that the Egyptian army is willing to maintain Israeli interests to some extent even now. and guess who runs the monitor group… chris argyris, a marcuse-styled marxist.